What Gives Canada Immigration an Edge & Why It’s Recommended? You have some top overseas destinations such as Canada, the UK, the US, Australia in mind and are thinking of moving to one of them, right? It will be an excellent decision to shift to Canada Immigration as the hotspot is ‘the Land of Unlimited Opportunities’. Here, the sky is the limit for skilled professionals and the business people. But you know what it’s wonderful not only for the professional but also for personal development and growth. If you are not content with the overall quality of life in your home country and want to obtain something extra in life, then you will not find a better place than the Maple Leaf Country for the purpose. What makes Canada an ideal hotspot to move to? What gives it an edge? Well, hereunder is shared some key factors that make Canada, perhaps, the best immigration destination in the world. Check these and shape your future overseas in the best possible manner! Easy & Flexible Immigration Laws: As per some observers, it’s the best attraction of the Maple Leaf Country. Ottawa does not follow or have very strict immigration regulations unlike numerous other top destinations of the world, such as the US, the UK, etc. You may make the cut for a Canada Visa without much troubles or hassles. Even though the times of global economic meltdown, Ottawa did not reduce the allocation of visas. Vibrant VISA Plans: This is another draw of the nation. The Maple Leaf Country provides a chain of easy-to-follow immigration and visa schemes that suit the aspirants of all kinds. The Immigration, Refugees, and Citizenship Canada (IRCC) and Ottawa offer tailor-made visas for the self-employed, employed, and businessmen groups. Even in case, you do not come under these classes, no need to press the panic button! You may opt for any of the flexible non-immigrant choices, including Student Programmes and Work Permit. Significantly, through a majority of these options, you will get a Permanent Resident Visa (PRV). Social Security Benefit Plans: The different health and educational programmes offered by the nation are highly useful and have no parallels in the entire world. The local people and those who decide to make Canada their home are secure in the country as they know the government really cares. Boundless Work Opportunities: The nation has unlimited well-paying work opportunities for the well qualified and skilled migrants. Finest Working Conditions & Wages: Here in Canada the wages offered to the deserving and the skilled are perhaps the best in the whole world. What’s more: the working conditions are also very good for the manpower, and they are provided with all kinds of facilities, to maintain their productivity and continue a very conducive working environment. Unrestricted VISA-free Movement: Canada Passport is highly valuable and a very treasured product. With this pocket dynamite, you can travel visa-free or with visa on arrival to the majority of the top hotspots of the globe. No wonder, numerous businessmen and investors keen to explore the world for business/investment purposes choose Canada Immigration. Complete Freedom to Do Job Anywhere: In Canada, with a legally valid migrant visa, you can live and work anywhere in the nation. There is no curbs or checks whatsoever, in terms of place of job service. Ottawa provides the right to religion, culture, freedom to communication and language choice. No wonder Sikhs like many other communities have fallen in love with the nation and are now defining character of the hotspot. Additional Opportunities: The Maple Leaf Country provides exceptional personal and trade growth breaks. In just six months or so you can migrate to Canada using this speedy online immigration facility. In case you manage to get the required points, you will receive an Invitation to Apply (ITA) for migration for permanent residence. You will have 90 days for the submission of a complete Permanent Residence Application. 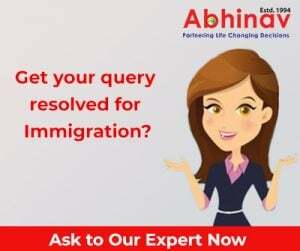 It is an equally speedy and secure immigration option. With provincial nomination, you can dramatically improve your chances of Canada immigration with a PR.